Nowadays there are so many web hosting companies have developed in the market. In this article, I am going to give you some news regarding Web Hosting. From the above four, I will give information’s about first three of them due to their maximum demands than the last one. Shared web hosting means where lots of website runs on one single server. By doing this it becomes very cheaper for people to adopt. InMotion Hosting: Minimum hosting charges is dollar 5.95 per month. They provide 24/7 full support with 99.9% server up time. They have kept 90 days money back guarantee if not satisfied with their services. HostGator Hosting: Minimum hosting charges is dollar 3.71 per month. Their special features is free shopping cart facility along with it 24/7 technical support and free forums, photo galleries and membership scripts. They have kept 45 days money back guarantee. Web Hosting Hub: Minimum hosting charges is dollar 3.95 per month. Their special features is unlimited websites and emails and unlimited disc space and bandwidth with 24/7 US support. They have kept 30 days money back guarantee if not satisfied with their services. BlueHost: Minimum hosting charges is dollar 4.95 per month. They have cut out their minimum charges from 6.95 to 4.95. Their special features are instant website setup with unlimited domain facility. They have also useful paid features also like they have kept anytime money back guarantee. Lunarpages: Minimum hosting charges is dollar 19.95 per month (with Coupon Code: 48Off24). Their special features are full infrastructure availability guarantee with full network up time with 1-hour hardware replacement guarantee. They have kept anytime money back guarantee. They provide very good support systems 24/7. 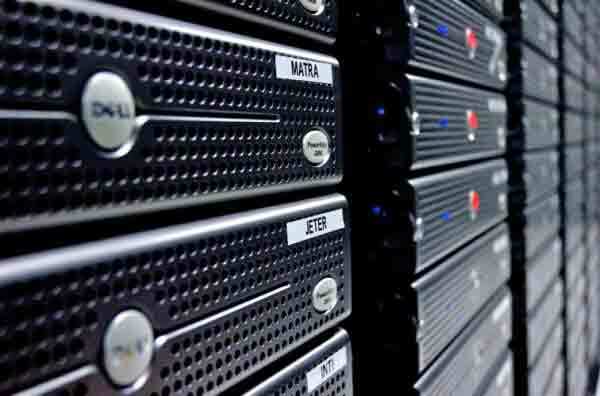 InMotion Hosting: There most popular service is VPS -2000 with a price of $74.95 per month. The special features are Ram 1GB / 2GB. Storage capacity is 80 GB IP Addresses: 5 Environment: CentOS/cPanel/WHM Backups: Every 24-36 hours. View more InMotion Hosting user review. MyHosting: Their minimum price in dollar is 15.95. Their special features are Hyper-V or Linux with full root access. 24/7 technical support $150 FREE Ad Vouchers and reduce Costs with WebsiteSpark. VPSLink: Their minimum price in dollar is 6.62 per month. Their special features are having options of Choosing from OpenVZ or XEN with Full root Access with Instant Setup with Change and Re-install OS on Demand Intuitive Server Control Center with LAMP and Ruby on Rails VPS Hosting with Zero-downtime Upgrades with SCSI RAID Storage Available with High-security Commercial Datacenter. LiquidWeb: Their minimum price US dollar is 50 per month name smart VPS 1GB. Their special features are 75 GB Disk Storage with 2 TB Bandwidth Transfer with 880 MB RAM with 1 CPU. HostGator: Their minimum price in dollar is 15.96 per month. Their special features are CentOS Linux w with Full Root Access with Virtuozzo Power Panel with Optional cPanel with WHM Control Panel. Rackspace: There are three types of hosting under rack space one is cloud hosting, second is managed hosting and third is hybrid hosting. The minimum price among them is 1.5 cent per day and that is called cloud server. Media Temple: The minimum price in dollars is 20 per month. Their special features are 100GB premium storage with 1TB network transfer with Host up to 100 domains with 1000 email accounts with Clustered architecture with Money Back Guarantee. Lunarpages: The minimum price in dollar is 186 per year. Their features are which comes with this plan is CPU Intel Core i3-2100 with 4GB ram with 2.500 GB drives storage. Host Gator: The minimum price in dollar is 139 per month. Their features are Intel Xeon 3360 (Quad Core) with 2 GB DDR3 Memory with 2×250 GB hard Drive with 10 TB Bandwidth with d dedicated IPs with free cPanel. InMotion Hosting: The minimum price in dollar is 199.95 per month. The features coming with this plan is Pentium dual core 2.4 GHz with 1MB CPU cache with 2GB free upgrade with front side bus 800 MHz with disk space 2x 160 GB with 1500 GB monthly premium transfer with unlimited separate websites with unlimited parked domains with 5 dedicated IP addresses. With 30 days money back guarantee. Click here for more Web Hosting Reviews. I have am using nannex for my web hosting needs. I can easlly upload addd WordPess or DotNetNuke very quickly. According me, HG is number one hosting in the worlds. Full support and completes packages for your business. I have use this hosting several years, and never got the problem. I always have question how to determinate best hosting? Thank you for article. WebHostingHub is an excellect choice for shared hosting. I have an account with them. WordPress runs really well on it, better than other hosts I’ve tried. BlueHost is another good one. I have an account with them, too. BlueHost scans all accounts for exploits. I recently upload a WordPress theme I was testing out and the next day I got an email from support saying they fixed that infamous TimThumb exploit. Now that’s great support.